I was speaking with one of my meditation instructors today and he said that sometimes we can be aware of the space between ourselves and another person. We can recognize that there is you and there is me and there is also the space between us. Wide open space. Lately I am wondering how close I can really get to you. I made a little video about that here. It’s odd but a few times recently I have caught myself looking like you. I don’t really look like you but I don’t really look like me either. Did you ever look at photos of yourself and think “who is that woman”? Is it because we carry around an image of ourselves that is fixed at some other age some other time? Sometimes I wonder if we humans are meant to be photographed at all. A photo fixes a moment in time, but life is ever-changing. I will never be that person I was yesterday. Is there anything about me that does not change? It seems that you were somehow able to freeze in time and remain the same in my imagination for all these years. August is rapidly approaching. In August I will spend a day with you (as you?). 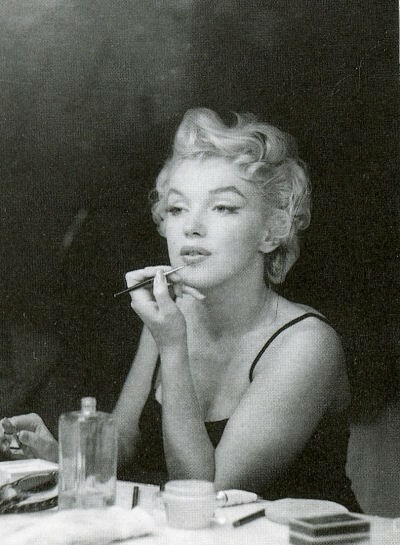 What will happen in the space between us, Marilyn? Sometimes I think that I want to give you another breath, another day. Sometimes I think I have been searching for you to find me.